“Lotus,” ca. 1930, vintage gelatin silver print, 11 1/4 x 9 1/4 inches. All imagery courtesy Joseph Bellows Gallery. When selecting flowers we are often first attracted to their vibrant colors, eager to choose a bright orange lily or deep red rose. Dr. Dain L. Tasker, an early 20th century radiologist, was attracted to a different feature of the blooms—their anatomy. 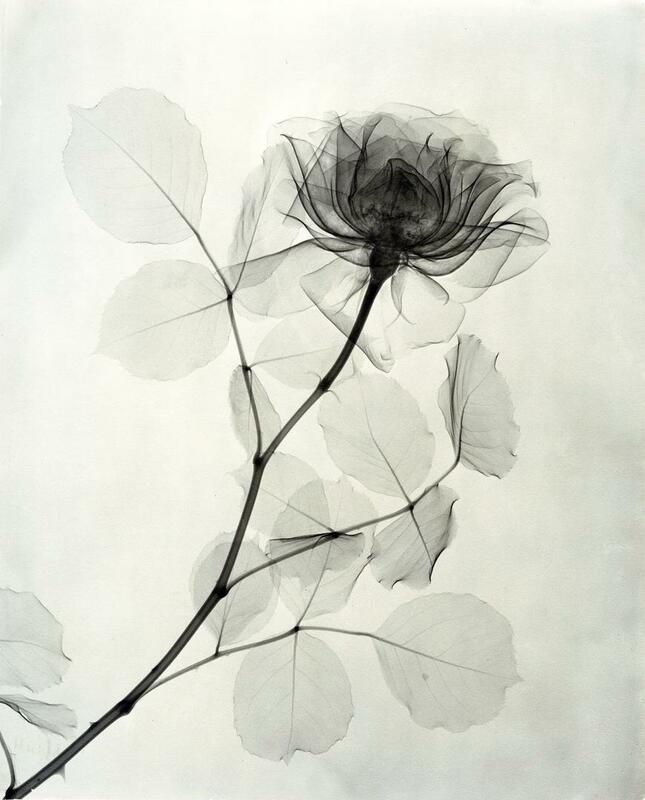 Using X-ray film to highlight the soft layering of petals and leaves, Tasker produced ghostly images devoid of color, each image appearing more like an ink drawing than photograph.